Join our amp retailer facebook group! This store is for wholesale accounts only. Click here to become a retailer. Environmentally cloth diapers detergents that work are hard to find so we have decided to offer an envrionmentally friendly/cloth diapers friendly choice. 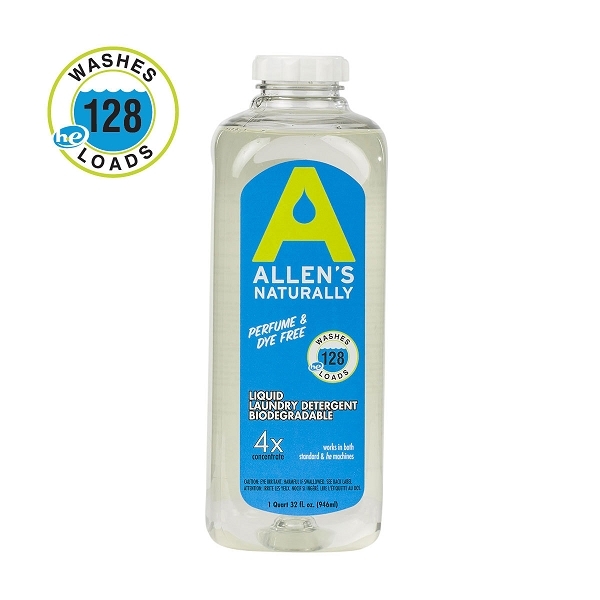 Allens Naturally is our Favorite Environmentally friendly detergent, when used in the right amount it makes washing cloth diapers easy. Cleans clothes thoroughly yet is gentle on fabrics, leaving virtually no residue or perfume that can irritate sensitive skin. Just one ounce leaves clothes clean, bright and fresh smelling. Keep yourself informed of upcoming changes and stockings for AMP Diapers. All retailers should be on this list.